Tobacco Town: The George W. Helme Snuff Mill ~ The History Girl! Helmetta, New Jersey is facing a crossroads in its history. Over one hundred years ago, a man by the name of George Washington Helme had a dream to build a community around a factory. In a very short time he accomplished that and built an empire. Today, Helme's red-brick buildings with boarded-up windows and empty floors stand silent, awaiting new life. 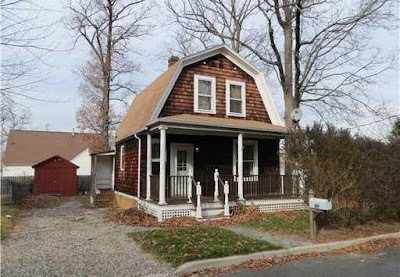 The buildings and homes that have withstood the test of time stand as a monument to the ingenuity, perseverance, and foresight Helme possessed for creating a true company town in what was then a rural area of central New Jersey. Although Helmetta was officially incorporated as a municipality in 1888, the community dates back to about 1880 when George W. Helme, a former New Orleans lawyer and Major-General in the Confederate Army, bought land between Jamesburg and Spotswood, which today is Helmetta. On this land he would build his snuff mill and 105 homes for workers. Helme named the town after his family surname ("Helme") and his daughter Antoinette ("Etta"). George Washington Helme was born May 18, 1822 in Kingston, Pennsylvania. Born to a poor family, George quit school at the age of sixteen and began working. He obtained a clerkship with Asa Packer, a wealthy contractor involved in the construction of locks, boats, and railroads for the transport of coal. In his mid-twenties, he moved to Shreveport, Louisana, where his brother lived, and became a member of the Louisiana Bar in 1851. He opened a law office in 1852. In 1858, he married Margaret Appleby, whose father, Leonard Appleby of Spotswood, New Jersey, was working a snuff and tobacco operation at Railroad Mills, which is believed to be the current site of the Helmetta snuff mill, and was also the site of a distillery in the early 1800s. The business had been established in 1825 and was among the earliest in the country to make snuff. In 1850, Appleby's Railroad Mills snuff mill had eight workers, and there were five buildings scattered over the area now comprising the Borough of Helmetta. In 1866, Helme formed a partnership with his brother-in-law, Jacob Charles Appleby, over the Railroad Mills property. Helme became the sole owner in 1872. 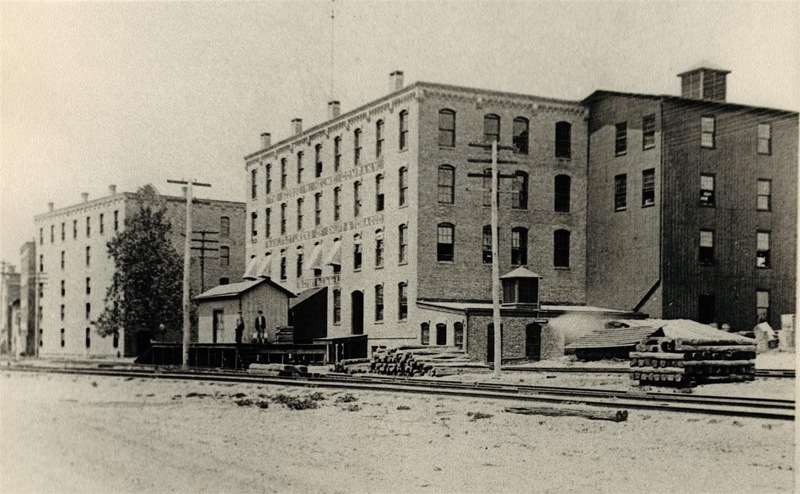 He apparently continued the Railroad Mills operation until the late-1800s, when he bought the property that is today's snuff mill district and incorporated the George W. Helme Company in 1884 with stock of $500,000. According to another version, Helme sat on the front porch of his mansion at 11 High Street. He complained of feeling ill to a snuff mill employee who had stopped to talk. Suddenly he fell back in his chair, dying of a heart attack. Building X, built in 1893. According to The Early Snuff Mills of New Jersey, "At the time of his death, Helmetta was a laid-out town with a population of 500 persons, many from Spotswood and Jamesburg, which replaced the early snuff (mills) and sawmills. There were well-cared-for streets, and the town was on the Jamesburg branch of the Pennsylvania Railroad. Through Mr. Helme's energy and business ability, these things had been accomplished. He had nurtured the village from a sleeply place of two houses and a mill or two, known as Railroad Mills, into a prosperous community." George W. Helme did not limit his activities to the snuff mill. At the time of his death, he was a member of Helmetta's governing body, the Borough Commission. At the State Reform School (later known as the State Home for Boys and currently known as the Training School for Boys) in Monroe Township, Helme was a member of its Board of Trustees and served time as president of the board. On June 16, 1893, the day of Helme's funeral, the snuff mill buildings were draped in mourning. A special car of the Pennsylvania Railroad left Jersey City at 9:10 am to carry mourners to Helme's 11:00 am funeral. Reportedly, 1,500 persons attended. Helme was interred in his family mausoleum in Fernwood Cemetery in Jamesburg. Newspapers reported Helme was the wealthiest man in Middlesex County, and supposedly the second wealthiest man in New Jersey. He left behind an estate estimated to be worth five million dollars. 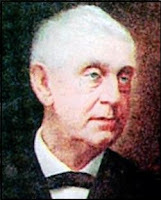 After Helme's death, his son, George A. Helme, became president and chairman of the board of the snuff mill company. He continued to build the company and placed its stock on the New York Stock Exchange. George Helme married Mary Townsend Buckelew of Jamesburg. Together they had three children. The last Helme to serve as director of the company was James B. Helme, son of George A. He held this position until his death in 1956. Helme's snuff mill complex is composted of a large number of buildings, mostly built between 1881 and 1924, although additions to the main buildings continued until 1948. Each building had a letter that was painted onto it. The original building, building A, still stands, sandwiched in between large additions made in 1888 and 1896. Building A was a true water-powered mill, although little remains of a water wheel or early apparatus. Water was stored in the large mill pond, came down the head race toward the rear of the factory, into water pipes, and through building A. Once passing through the building, the water went underneath the Camden & Amboy Railroad and Main Street, to the pump house, which was built in 1902. The path that the piped water takes was originally a small brook that was diverted when the head race was built. The water still travels through the building today. The main buildings of the complex, buildings A, B, C, D, W, X and Y was where the production occurred. Trains would bring tobacco to the complex via railroad sidings. No fewer than seven large warehouses existed for the storage of drying tobacco. A number of the warehouses, known as the "hoggies" were demolished around the late 1970s and early 1980s. The remaining warehouses were demolished in 2007. Once the tobacco was dried, it was moved to the main factory buildings, which number between five and seven stories. The tobacco would be brought up in large elevators to the top floor where steam kettles existed. From there, it would drop down to be cured in bins. The amount of time and temperatures it was cured at depended on the flavoring and type of tobacco product. The tobacco would then be ground. From there, it could be packaged into bottles and boxes, and later tin cans, pouches, and wrappers. The tin cans were made in building Y. Building W hosted labeling and stamping. Warehouses H-5 and H-6 were used as storehouses for finished goods waiting to be shipped. George W. Helme built a company general store with dormitories above in 1890. In the 1890s, most of the worker's homes were built. In total, Helme built 105 homes for his workers. All houses appear the same, except one large residential structure at 1 Railroad Avenue, which is the former company-operated Avon Inn, which was a boarding house and hotel. In the early 20th century, additional cottages were built on Club Drive and Ericson Avenue. These small, shingle-style bungalows with gambrel roofs represent more of a craftsman style architecture. Bungalow-style homes built in the early 20th century. Helme Snuff also cared for its employees, providing places for entertainment and leisure. When the snuff mill district was named to the State and National Registers in 1980, the Club Hall, a former carriage house (later used as a movie house, then a recreation/community center), was still standing. The building was razed in 1987. Also on Ericson Avenue was the Helmetta Club, a socially-significant structure that stood until 1963. The Helmetta Club operated from 1907 to about 1935. It then became a residence until it was demolished by the snuff mill for economic reasons. The Helmetta railroad station, which stood on Railroad Avenue along the tracks between the two railroad crossings, operated as a passenger station until passenger service ended around World War II, but continued as a freight station until 1962 or 1963. Around 1963, the station was moved to Krygier's Nursery on Cranbury Road in East Brunswick until the 1990s when it was torn down. Warehouse H-6. Built in 1906, demolished in 2007. Boiler house, Main Street. Completely gutted and converted into the Helmetta Animal Shelter, 2012. Carpentry-type shop, Main Street. This building served as Borough Hall from 1934-1981. Demolished. Public School, 60 Main Street. The school closed in July, 1979 and became Borough Hall in 1981. George W. Helme's Estate, Holly House, 11 High Street. Demolished 2002. Olivia Antoinette "Etta" Helme Herberts estate, High Street. Helmetta General Store, 66 Main Street. St. George's Episcopal Church, 56 Main Street. Constructed 1855. Holy Trinity Roman Catholic Church. Constructed 1911. 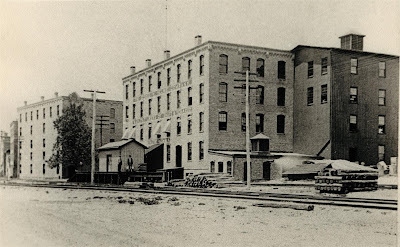 The George W. Helme Company was dissolved in May 1900, but the facility was purchased by the American Snuff Company in February 1900 and the snuff mill continued to operate under the name of the George W. Helme Co. In 1910, the snuff mill employed 500. By 1925, it was the largest snuff mill complex in the world. The mill had 400 workers in 1934 and 379 in 1943. Beginning in about 1952, the snuff mill was modernized, including the installation of labor-saving machinery. From 1935 to 1962, the Helmetta operation employed as little as 350 persons to as many as 450, with approximately 50 brands of snuff being produced around 1935 to about 40 brands in 1962. In 1962, the bulk of Helmetta's snuff was marketed in Southern states; about one-third of American-used dry snuff was made in Helmetta. In 1986, the mill was purchased by American Maize Products and in 1988, the Helmetta snuff mill was the world's largest sweet snuff producer. The mill continued operating until 1993 when it was purchased by Swisher International and the operations were moved to Wheeling, West Virginia. Finally, after over 160 years of snuff production, the site became quiet. Workers no longer shuffled in each day and the sweet smell of the snuff would no longer fill the air except on damp days. Today, the mill property sits vacant, awaiting redevelopment. Slowly through the years outbuildings were demolished and time has taken its toll on the main factory buildings. After many failed attempts to resurrect the property in the 1990s, it was declared an area in need of redevelopment by the Helmetta Borough Council. Kaplan Properties bought the mill complex and signed a redevelopment agreement in 2006. Original plans called for the demolition of all the mill buildings and the construction of condominiums, but since then the remaining mill buildings have been saved through outspoken critics and DEP requirements. In 2006, Kaplan allowed the Helmetta Historical Society to conduct a walk-through of the buildings, including photography and video, and retrieval of remaining items. The entire project is to include 200 housing units. The remaining mill buildings will be converted into luxury apartments and a large addition, sensitive to the building's design will be placed off of building D, originally built in 1888. The mill buildings will contain 180 units and 20 new units will be constructed on the property, in former warehouse locations. One parcel will be designated for open space and recreation that can be used by all Helmetta residents. Kaplan also plans to build tennis and basketball courts. A 3,000-square-foot community center will be constructed on the site and donated to Helmetta for community use. There may no longer be the hum of machinery and the sweet smell of snuff in the air in Helmetta, but the large, imposing brick industrial buildings cast a shadow over Main Street, not letting passersby forget the vision of George Helme to build a true company town and the economic impact and employment opportunities it offered for generations of residents in southern Middlesex County. Very interesting, Kelly. The best picture is the last as it has a beautiful foreground! You're a few years too late - you would've loved the Helme mansion! It was about a mile down the road from the mill. It was amazing. I helped my fathers friend take all the doors and windows out of before they demolished it for the development that is there today. He built the house he lives in now, and used all the doors and windows. really cool stuff. This is a great article! I am truly intrigued by the information you have found on this town! Sorry to hear that the mansion was demolished...Traditional USA policy of saving as little as possible from the past. Around 1960 my mother was the arts & crafts person at a summer day camp that existed at the mansion. Many states in the US make history a priority. New Jersey is not one of them. Aside from a few places like Princeton and Montclair, NJ knocks down, papers over, and blacktops its history. That's a product of ignorance and the fact that there aren't any big enough kickbacks in history. I am wondering, if in your research, you were able to locate any of the old company ledgers or documents? These "shingle style bungalows" you mention are kit homes from the Aladdin Readi Cut Company in Bay City, Mi. The model was called E, E-2 the Wonder House and later the Eden.